The first music video made using gaming hardware will be unveiled by Too Many T’s next week. Their video for ‘PATTERNS’ took more than 600 hours of production, and will debut on YouTube Premieres on Tuesday, November 6th at 7.30pm. The London hip hop duo will also present the ‘PATTERNS’ video - made using Xbox Kinect, gaming software and hardware by Triffco - at the BBC Amplify event at The Rattle in Tobacco Dock with daily screenings from Tuesday, November 8th to Thursday, November 10th. 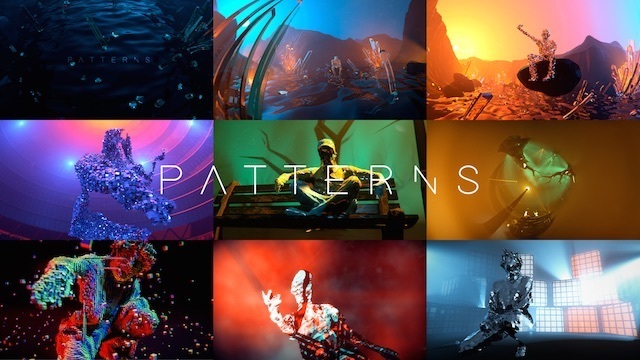 ‘PATTERNS’ is one of seven music videos released from Too Many T’s album South City, joining forces with Stuart Trevor AKA triff, a video game artist who had been exploring motion capture using an Xbox Kinect camera. His work repurposes the camera to capture both movement and depth, which he then places within CGI environments created using visual effects software such as 3ds Max, Redshift and After Effects. This is then output through two gaming-orientated graphics cards. For Too Many T’s news and tour dates go to toomanyts.com. For more information about BBC Amplify go to facebook.com/introducingamplify.